The André Petit Millésime 1970 Vintage Cognac is a wonderful old eaux-de-vie from the harvest of 1970. It will appeal to those who enjoy knowing a little of the history about their tipple, in particular, understanding the exact age and the harvest from which it came. 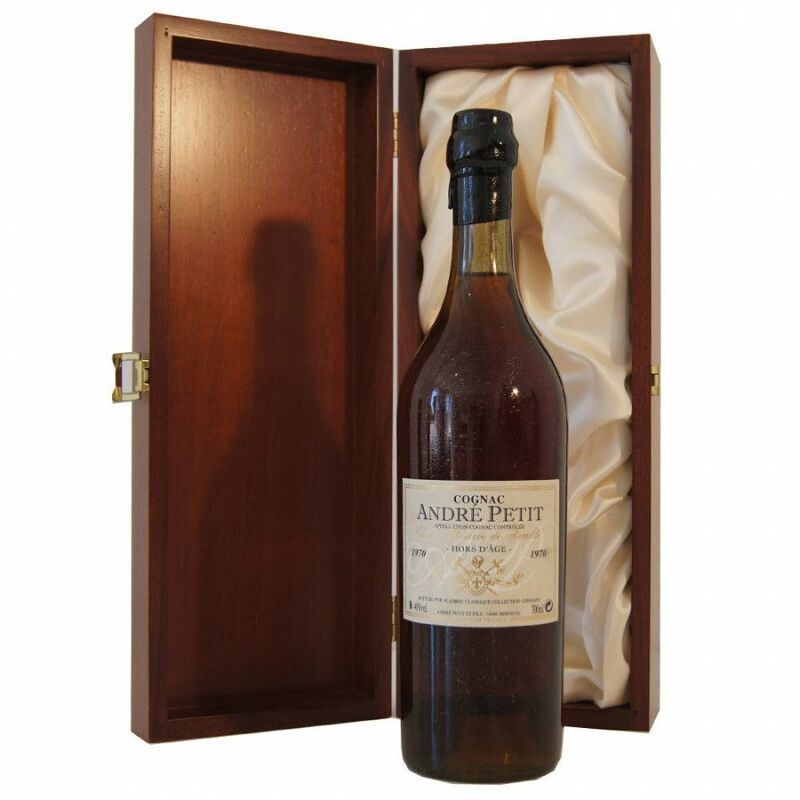 The house of André Petit specializes in producing Cognac of outstanding quality - and this one is certainly no exception. Blended with the passion and knowledge that's been handed down through the generations of this small, traditionally run Cognac house, it represents exceedingly good value for money for such a high class product. The presentation is also outstanding, being offered in a tradtional style Cognac bottle within a wooden oak box. Would make the ideal present for the lover of fine liquor. I tasted this cognac the other day, at a friend's house. it's a great, great cognac - and for the price of 35 euros.. great value for money. We blind tasted and compared to some cognacs from Bache Gabrielsen, the Pure &amp; Rustic line... and Petit's cognac beat them all.